Football season is starting, but this is no time to drop the ball on employee compliance training. We can help your practice get up to date and prepared to minimize breach risks from third-party vendors. Subscribe to stay current and up to date on important matters that will impact your practice. (To subscribe to our blog click here). Your practice may be exposed to many compliance risks that can be prevented with comprehensive employee training programs. It is not enough to have written policies and procedures if your employees do not understand how to follow them! When was the last time all of your employees participated in a compliance training that covered more than basic HIPAA issues? How often do you provide refresher materials and job aids to keep your employees’ knowledge up to date? What are you doing to encourage employee understanding and compliance between formal training sessions? Ensure that your training programs and strategies are integrated into your compliance plans. Develop on-the-job resources for employees to reference when they have a compliance question or concern. 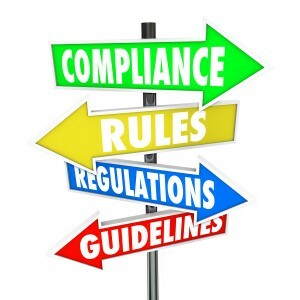 Follow-up with employees throughout the year to ensure that employees know basic compliance policies and procedures. Compliance is more than a one-time event. Prevent vulnerability and eliminate risks through knowledge and learning all year round! We can help you develop effective compliance plans and training programs. Contact us today! Do you need help with updating your Business Associate Agreement or negotiating contracts with third-party vendors? We can help. To contact us about your Business Associate Agreement, your vendor contracts or your other legal needs: CLICK HERE.